Analyze Re started at Launch Dal. See how they took off. a product our target demographic wanted"
We are building a vibrant entrepreneurial culture among students, researchers, faculty and the community. To build a vibrant entrepreneurial culture among students, faculty and the community at large that embraces innovation in creating value for society led by leaders who manage with integrity, focus on sustainability and make things happen. Providing opportunities for Dalhousie students to work with the entrepreneurial community. Facilitating the incubation of student business ideas. The Norman Newman Centre for Entrepreneurship’s (NNCE’s) Launch Dal© programming provides an extensive ranges of support for entrepreneurship and innovation through courses, workshops, seminars, mentor training, and a range of programs open to students, researchers, and members of the community. The NNCE is attached to the Rowe School of Business Administration, within the Faculty of Management, Dalhousie University. NNCE promotes entrepreneurship in its many forms, through innovative curriculum, applied research and collaborative extension work (outreach). Our definition of entrepreneurship is broad and includes the development or growth of enterprises for profit, for social benefit and for sustainability. In addition to supporting technology and technical start-ups through mentoring, coaching and training efforts, the NNCE provides mentoring, coaching and training to entrepreneurial students, create exemplars of technology and technical entrepreneurship through research projects and further expand the relationship with the business community. 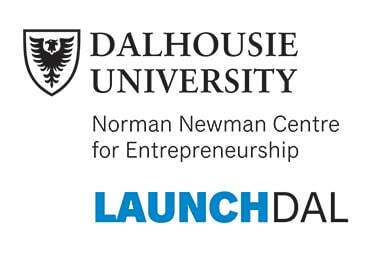 SIGN UP FOR TO RECEIVE UPDATES FROM LAUNCH DAL!